Explore The World! necklace bronze. 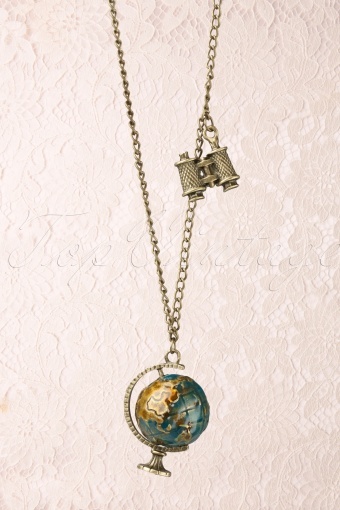 So beautilful this medium long necklace in antique-look bronze with globe pendant. The globe is enamelled in transparant orange and blue. 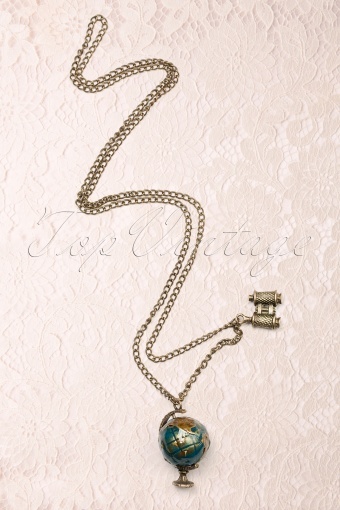 The necklace is decorated with a binocular charm. Soooo cute!